(Host) Two national dollar store chains have plans to expand the number of their Vermont stores in the coming year, but they’re running into some local resistance. Opponents say the proliferation of dollar stores poses a greater threat to the economy and character of many more towns than big box stores. (Zind) With its vibrant village and distinctive stone architecture the Windsor County town of Chester has a charm that translates into dollars. The shops and boutiques that line Main Street thrive on tourism. But there’s one sign of economic growth that some residents aren’t so happy about. Dollar General, the large national retailer wants to build a store at the edge of the village. At 9,100 square feet, it would be by far the largest retailer in Chester. (Cunningham) "It’s out of scale, it’s not with the character of the town and we’re concerned about the businesses in town because there are a number of businesses this would compete with unfairly. It’s like asking a bantamweight to crawl into the ring with a heavyweight." (Zind) Cunningham’s group is urging the town’s Development Review Board to reject Dollar General’s application. Cunningham argues that the national chain brings little to the town’s economy in jobs or revenue. Dollar General hopes to build several stores in Vermont this year in addition to the 15 it already has. 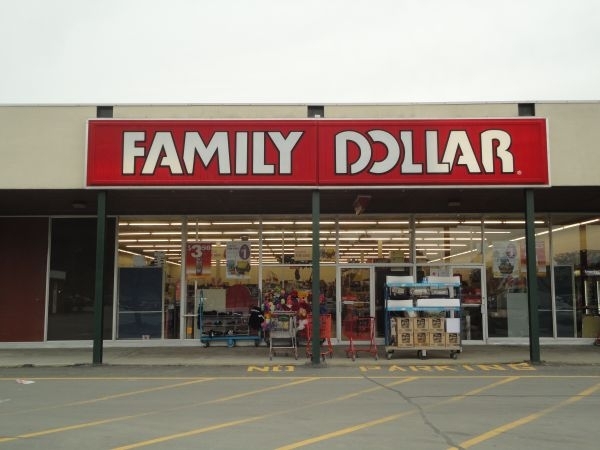 Another large national chain, Family Dollar wants to add at least seven stores to the nine it already has in Vermont. Across the country, business is booming for dollar stores. Joshua Braverman is a spokesman for Family Dollar. (Braverman) "We are definitely in a growth mode and are looking forward to providing the value and convenience that we provide in our stores to more communities around the country." (Zind) Braverman says Family Dollar’s core customers are single women heads of household who earn less than $40,000 a year. But he says that demographic is expanding and creating more opportunities for the company to build new stores. Many dollar stores are located in strip development or stand-alone buildings outside of towns. Those outliers are the ones that concern Paul Bruhn of the Preservation Trust of Vermont. (Bruhn) "We understand that there are people in Vermont that need that kind of shopping experience. Our concerns are much more around location. Most of the dollar stores are located in sprawl locations that has the effect of undermining out downtown and village centers." (Zind) Bruhn says he has nothing against dollar stores if they’re reasonably sized and in town. Gayle Aertker is senior vice-president of store development for Dollar General which is based in Tennessee. It’s the largest of the national dollar store chains. Aertker says the Dollar general prefers to erect its own stand-alone buildings, or locate stores in strip developments. Both options tend to put stores outside of village centers. And Aertker says the 9,100 square foot store proposed for Chester is the smallest size that works for the company. (Aertker) "It is a balance of making sure that we have all the basic merchandise in our store that makes a Dollar General a profitable store. So, no, we’re not building smaller stores today." (Zind) Aertker says her company brings jobs to communities and supports local non-profits. In Randolph, there’s a locally owned downtown variety store called Belmain’s. It competes with two dollar stores just outside of the village. Belmain’s manager Penny Young says some customers shop with her out of loyalty to a locally owned business. She says the dollar stores haven’t had an impact on Belmains. (Young) "We felt no big change as far as our customer base and how busy we were." (Zind) But Young says sprawl has had an effect on Belmain’s. Her business took a hit when Randolph’s only supermarket moved from the village to a strip development outside of town. There are many arguments for controlling sprawl in addition to concerns about the vitality of downtowns. Traffic headaches and infrastructure costs figure into the sprawl equation. Dollar stores also raise aesthetic concerns. They’re considered small box stores and the buildings have a generic look. A letter writer to the Herald of Randolph opined that "nothing says ‘armpit’ like a dollar store at the edge of town." But one person’s eyesore is someone else’s shopping opportunity. Bristol lawyer James Dumont says what’s important is that towns have the tools to make their own decisions on managing growth. Dumont is working with opponents of three dollar stores planned for Vermont. (Dumont) "You could write a zoning ordinance or town plan or both that has architectural standards in it so that we are not perpetuating the homogenization of America in Vermont, so when you drive into a Vermont town it looks like a Vermont town, it doesn’t look like a suburb in Connecticut or New Jersey." (Zind) The problem, Dumont says, is that most Vermont towns don’t have plans or ordinances that are clear and concrete enough to hold up to a court challenge. (Dumont) "Most people are not aware that the Supreme Court has laid out some really strict standards for what needs to be in a town plan. A lot of people get into this process thinking the town plan will protect them and it doesn’t." (Zind) Dumont says there are limits to what a town plan can dictate, and one gray area is whether they can be used to protect local businesses from the impact of national chains. But opponents like those in Chester say protecting locally owned businesses is important because they provide more and better jobs and give a community its identity. For VPR News, I’m Steve Zind. Read the latest select board minutes from Chester at VPR’s Public Post. Tropical Storm Irene destroyed a Windsor County town’s Little League field. This month, residents are putting the final touches on its reconstruction. Authorities have arrested nine people on drug possession and distribution charges after seizing drugs and cash worth nearly $50,000 from a Chester apartment.